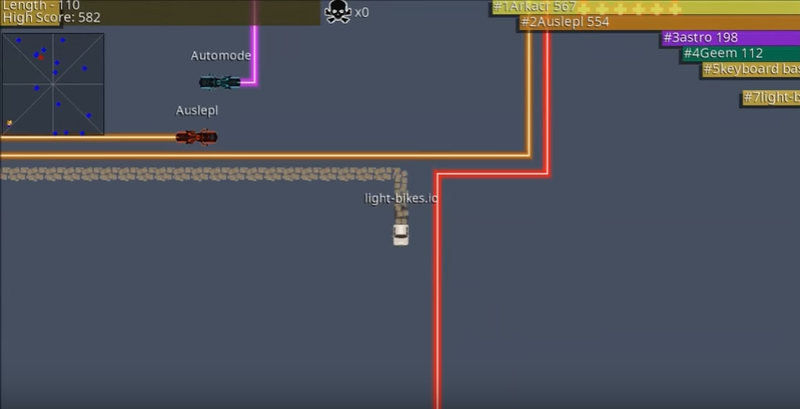 Light-Bikes.io! Check out the latest game by New leaf Studios! Your goal is simple! Guide your bike through cyberspace leaving a light trail behind you in heated battles! Eliminate all your opponents while avoiding their trail, while driving at the speed of light! It seems simple at first since the game is very easy to handle. Beware, it might be a bit harder to master. Whether you're bold or careful, outwit your opponents by finding the best strategy to destroy them before they destroy you. Stay cautious, you have a weak point - your bike. If you ever run into a wall or another opponents trail, your dead! Try both modes, endless and survival. Endless provides hours of entertainment where the goal is to survive as long as you can and make the largest possible tail. Survival throws you into a pit with other players. Who ever survives to the end is crowned champion! After the success of Powerhouse and Pipe Dream, New Leaf offers a new and fun experience inspired by io type games (popularized by agar.io & slither.io). Find the simplicity and strategy on an io game within a unique graphic universe. 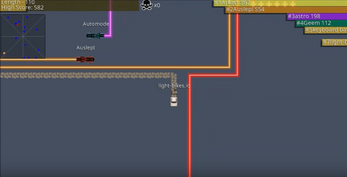 Light-Bikes.io is for the whole family!